New Delhi Celebrity sisters Karisma and Kareena Kapoor are known for their acting skills and glamour quotient, but they are yet to be seen on the silver screen together. 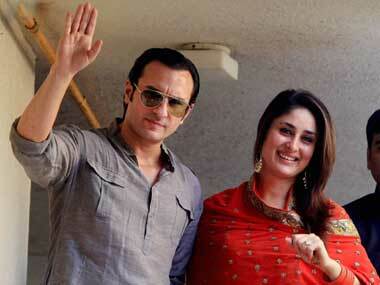 Younger sibling Kareena says the wait will end with the "right script". 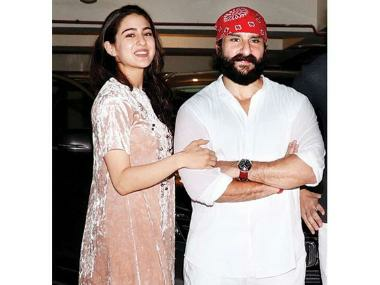 "People have offered us roles, but we need to get the right script,” Kareena, who is married to actor Saif Ali Khan, told IANS during her visit to the capital for the launch of Magnum ice-cream here. Karisma, who quit the industry in 2003 after her marriage, has dubbed for Kareena's voice in film “Bodyguard”, but catching a glimpse of the two on the big screen together is yet to become a reality. On the small screen, Kareena made an appearance on a reality TV show “Nach Baliye” to promote her film when her sister was judging the dance show. Kareena says the characters of the script need to convince them to come on board. “We need to feel the parts. There is so much pressure that it has to be the right script," she added. A successful actress of the 1990s, Karisma is known for movies like “Raja Hindustani”, “Dil To Pagal Hai”, and “Biwi No. 1”. The actress was last seen in 2012 film "Dangerous Ishhq", which was a well-publicised comeback, but fizzled out at the box office. After Karisma, Kareena took the baton and found a foothold in the film industry with movies like “Jab We Met”, “3 Idiots” and “Omkara”.